- Our next program is on: ​​April 8, 2019 on "EarthBoxes" See Program Dates for more information. ​​​GET INVOLVED! We welcome your ideas and want you to participate. Check out our Garden Calendar for important events you might like to attend with us. Learn about the projects below and join in the fun! Learn about the Blue Star Memorial erected at Lakewood Ranch Town Hall, a project of our Club. See the gallery of our members-only Smart Phone Challenge. Photos were taken with smart phones and submitted to be viewed on this website, and judged for their quality. While all the photos submitted were beautiful, recognition was given to Norma Kisida, Susan Gilbert and Eileen Amesbury. 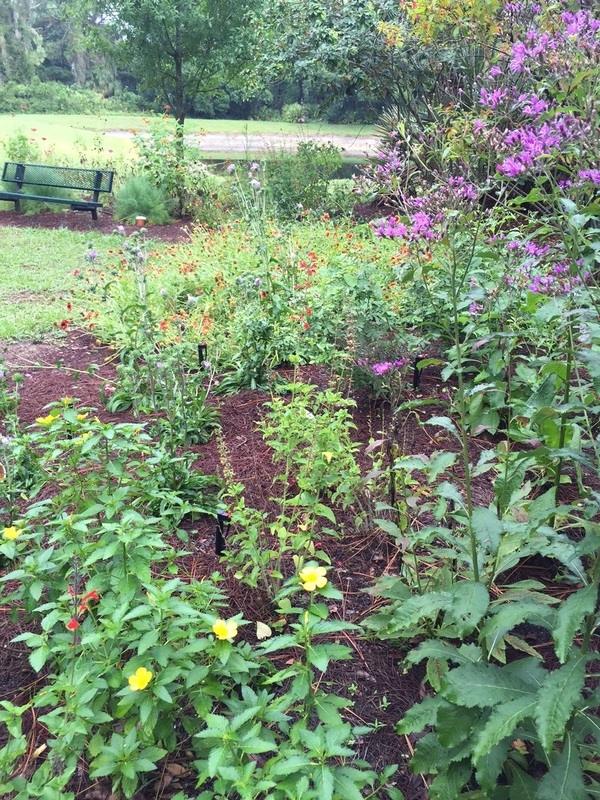 Read about our Butterfly Garden and join the fun! See some of our workday photos below. 2018 - 2019 programs are shown on the Program Dates drop-down menu. If you have an idea for a program, please contact us with your ideas.